Task 1. Practice to pronounce the words given below. 1) ………. is a system of rules established by the state. 2) ……….. is a leading category of the whole system of law. 3) ………... concerns disputes among citizens within a country. 4) ………... concerns disputes between citizens and the state, or between one state and another. 5) ……….. regulates relations between governments and also between private citizens of one country and those of another. 6) ………... defines the general principles of criminal responsibility. 7) ……….. regulates budget, taxation and other spheres of financial activity. 2) What is the main aim of law? 3) What categories of law does the system of law in Russia consist of? 4) What is the principle source of constitutional law? 5) What category of law is closely connected with constitutional law? 6) What is the central institution of civil (private) law? 7) What does criminal law define? 8) What does international law regulate? 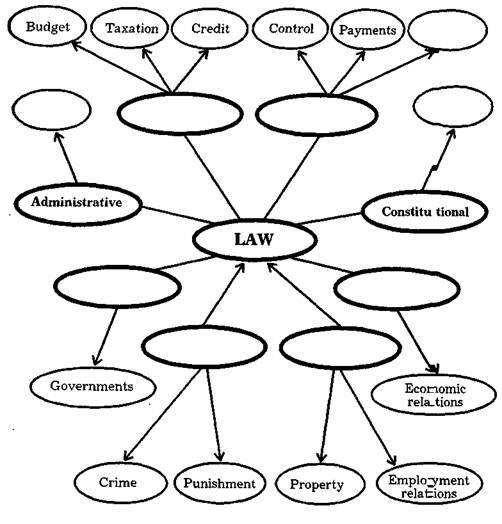 9) What is civil law connected with? 10) What rules does employment law include? 11) When was ECHR adopted? 12) What does ECHR deal with? 1. What does "it” in line 10 refer to? 2. What does "its" in line 10 refer to? 3. What does "it” in line 14 refer to? 4. What does "its" in line 23 refer to?